The third DComm event was hosted by the Instituto Italiano di Tecnologia in Genoa. 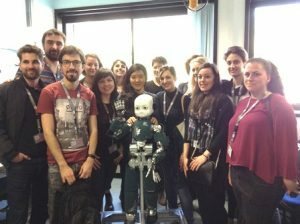 Participants were given a tour of the impressive IIT robotics laboratories and enjoyed the opportunity to meet various incarnations of the iCub and R1. 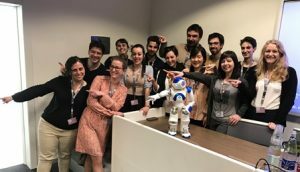 They also met Nao from SoftBank Robotics having first observed programming techniques.